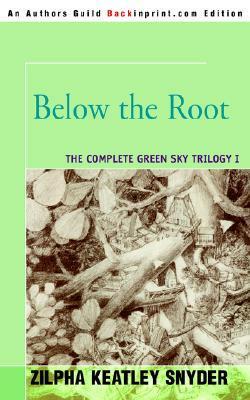 Below the Root was inspired by the book of the same name by author Zilpha Keatley Snyder who, in 1978, introduced readers to the world of Green-Sky and the Kindar people. I briefly owned the book a few years back, but in a fit of jadedness, I decided, after a few chapters, that it was boring, and donated it to the library. I have come to regret that decision, but fortunately, I have 2908103 other books in my to-read pile to keep me from wallowing in my guilt. 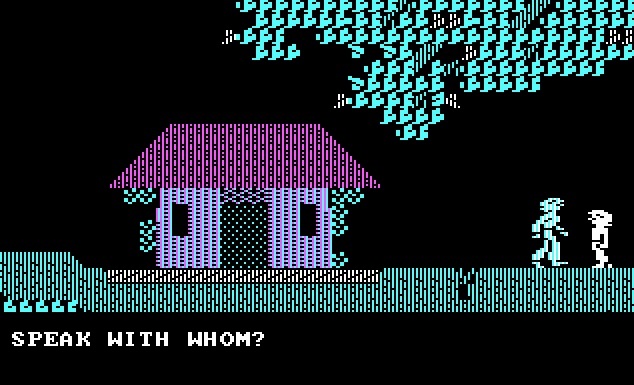 I don’t remember much about the story from my long ago play time, though I vaguely recall something about a feud between the tree dwelling people and those that live below the root. I decided to download a DOS emulator to help refresh my memory. What better way to research nostalgia than by sinking right into it? I enlisted the help of a techie friend who walked me, step-by-step, through the installation process. This turned out to be a lot less painful than I expected, and soon enough, I was back in Green-Sky — which turned out to be a lot more painful than I expected, especially for poor Pomma. Pomma D’ok is one of the five playable characters. She is a Kindar child with fairly high spirit ability, which allows the character to “pense” animals and people. This is the ability to emphatically connect with sentient beings. It may lead to actual telepathy in higher levels, but in earlier ones, it could determine the emotional state of a subject. This is particularly useful when dealing with people who might not be on the up and up. “Pense the monkey!” became a catchphrase in our classroom back in the day. It could be used in any number of ways, from cursing, to instruction. When I was in grade six, I wasn’t really concerned about all this back story business. I just wanted to eat wissenberries, pense all the animals, and ride the winds with my shuba. 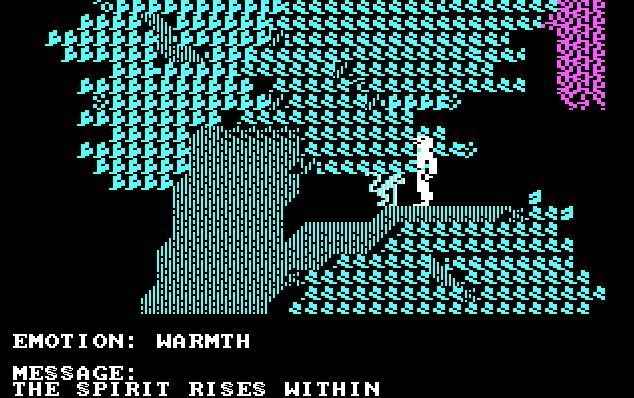 Now that I’m older, I have a greater appreciation for the depth that goes into video game writing. I enjoy being able to play characters that are allowed to develop as the game progresses. With this in mind, I fired up Below the Root in hopes of reliving my grade six innocence, now enhanced by my mid-life not-so-ignorance. Step one, after selecting Pomma as my main character was to get her out of her house. Apparently, walking into walls hurts. Falling down stairs also hurts. Bumping your head hurts, too. This is particularly irksome for Pomma, because, while she is high on spirit, she’s considered “delicate” in the stamina field. I finally managed to get her out of the house, and found a man outside. Hello man. Can we speak? What do you mean speak with whom? That guy right there in front of me. Why can’t I talk to him? Is he not real? Have all of Pomma’s head injuries from inside the house already taken their toll? Fine. I let that slide and continued on along the treetops. Then I fell. Several times. Because I couldn’t figure out how to jump and don’t yet have a shuba to fly with. And when I did figure out how to jump, I fell anyway, because I kept jumping in the holes. 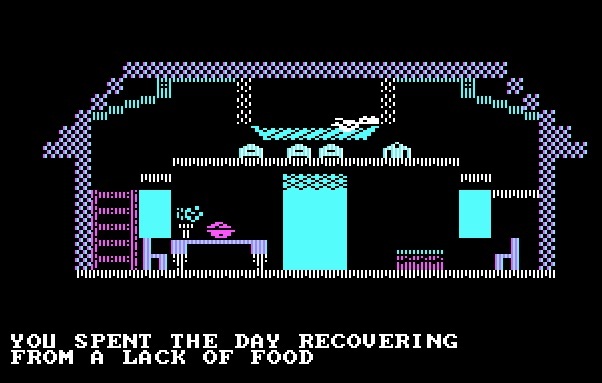 And I forgot to feed Pomma. After a short while, Pomma was not D’ok at all. Back in the house. Crap. So I have to get her out of the house again? Well we know how well that goes. I managed to get her out of the house so that I could fall around outside some more. Eventually, I fell far enough to arrive at ground level. While this was not actually below the root, I feel I was close enough to the Erdling people who live below that I could safely say that I understood their plight and would work to resolve whatever trouble was plaguing our people, above and below. Then I exited the game because clearly, this is not how nostalgia is supposed to work. Dammit, I really just wanted to pense the monkey. Interesting that you “pense” the animals. In French, penser is to think. So is feeling the first step of thinking? Or am I over pensing things?